As a beautiful long weekend comes to close - I spend some quiet time sipping my coffee and reflecting on the past few weeks - things have moved so quickly that I hardly got time for myself and my blog. I did not stop quilling all this while but havnt got enough time to post it here. 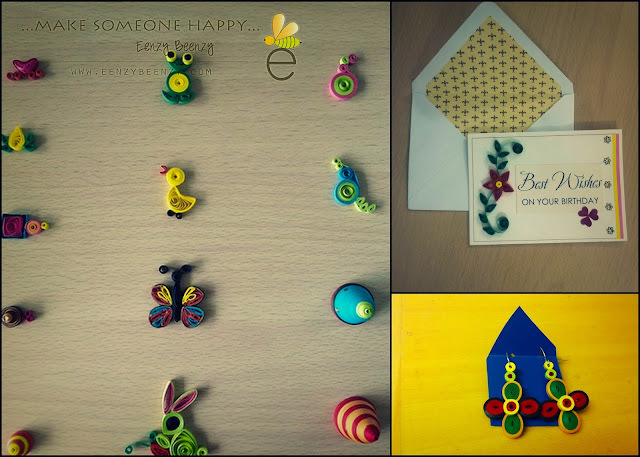 So, I did another quilling workshop and it was very amazing to share my self learnt skill - what I like more is that my students surprise me with very beautiful creations. I love to see them all addicted to quilling! I will post some pics from the workshop in my next post. Here are the tiny cards I gave away to everyone - I used the left over paper I had ... and see how cute they look! love your little cards and your students did awesome !!! !